Don’t let your boat, RV or camper take up space in your garage or in your driveway. Instead, protect and store these investments safely with Al’s 54 Boat Storage. 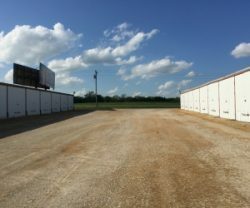 Conveniently located just off of Highway 54, we’re well-known as the best place for RV and boat storage in Miller County, MO. As the premier destination for RV storage in Miller County, MO, we’re equipped to handle vehicles of all sizes! We welcome boats, RVs, trailers, campers, cars and utility vehicles, with units that are specifically designed to accommodate them. Our campus also features wide driveways for maneuverability and ease when parking or leaving your unit. In addition, we also have units with electrical hookups. The cost for these units is an addition $5/mo. Please inquire about prorating and other long-term storage discounts when speaking with a member of our team. Our facilities are protected by CCTV cameras at all times, to ensure trespassers are deterred and any wrongdoing is caught on video. We can also assist our customers in selecting the right high security lock for their unit, to further protect their items. 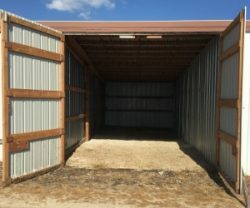 Customers choose us for boat and RV storage because our dedication to satisfaction is second to none! 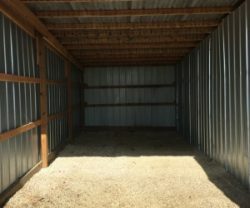 Not only are we able to help you choose the right unit for your storage needs, we can also work with you to determine the right term and payment schedule. Have questions about proper storage? We can answer those too! Our mission is your total satisfaction. 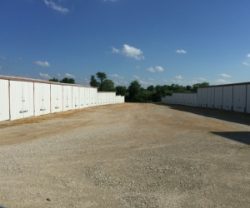 To inquire about unit availability, rental terms and rates, or to learn more about our storage units, please visit Al’s 54 Boat Storage or give us a call today at 573-392-7113.